Livid Instruments is now best known as a “music” controller maker, but the DNA of the company comes from live visuals. Accordingly, the OhmRGB looks a bit like a visual controller – banks of faders on the left and right of a grid, crossfader, and groups of parameter controls all give you a hint that you might use this for two-channel visuals. The makers of Vdmx have a terrific, detailed tutorial on mapping OhmRGB to their popular semi-modular Mac visual software. It’s just a test, but there’s also some wonderful mayhem when the Block, another grid controller from Livid, is combined with Vdmx and the monome software mlrv. Quartz Composer + Vdmx and Livid Block + mlrv testing from ape5 on Vimeo. Quartz Composer + Vdmx and Livid Block + mlrv testing with 3d abstract Meshes. Block and mlrv control the mesh via audio processing. 3d camera with space navigator by 3dconnexion. Really nice and performance-oriented setup by Italy-based visualist ape5. 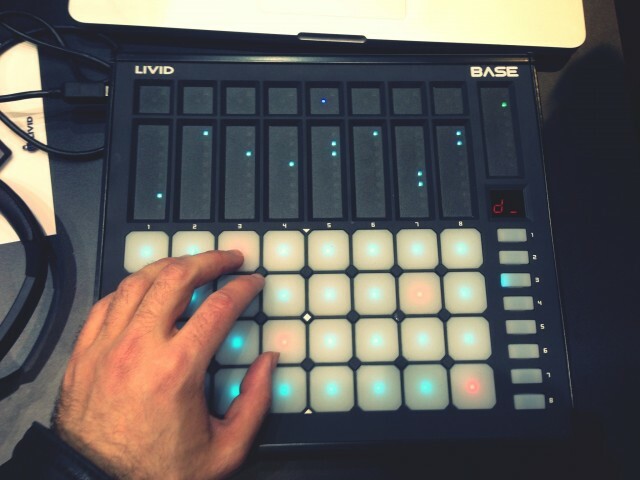 And while we’re at it, for Create Digital Music today I write up a hands-on with the Livid Base, as seen at Musikmesse in Frankfurt. 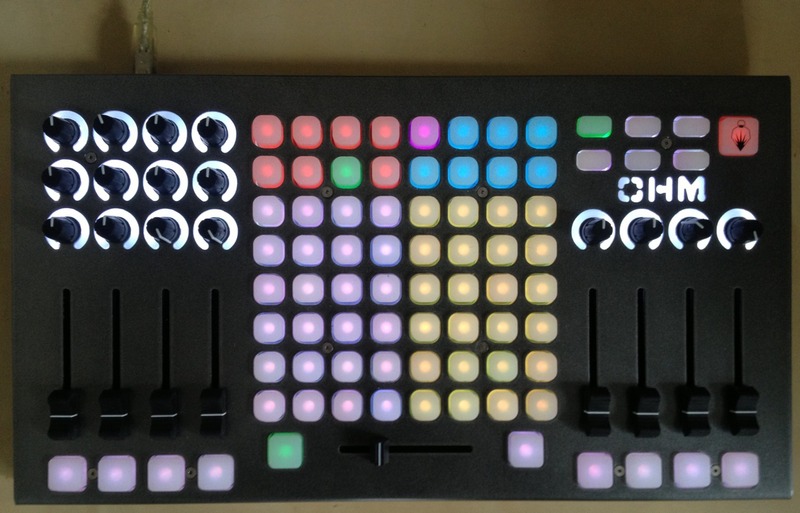 Base is also a good candidate for grid controllers for visuals, with no moving parts and a portable design, and a fader/grid/bank combination that would seem a natural for visual performance.